Some individuals sleep just minutes a day. And keeping flies awake does not have untoward effects on longevity. 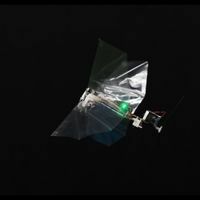 A bioinspired robot helps researchers study insect flight. 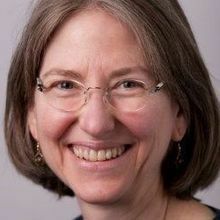 Researchers study the mechanistic effects of behavioral changes caused by parasites in fruit flies. 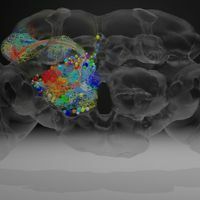 Scientists map the fruit fly brain, giving an in-depth look at its neurons. 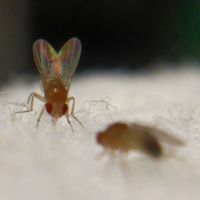 For decades, Matthews led two important repositories for fruit fly research: the Bloomington Drosophila Stock Center and FlyBase. 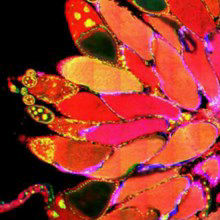 A fruit fly ovary can contain up to 20 eggs at a time.